I've been crocheting away the cold winter rainy nights here, and have made some cute crochet bags. Just in time for spring, they are now for sale in the Quite Contrary Handmade section at Ribbons Galore. They are perfect for carrying small items bought at the farmer's market or taking the essentials out shopping or to the beach. Theyr'e a great size for younger girls too. All the details are over at Ribbons Galore. I'm happy to take custom requests if you'd like to choose another colour, please get in touch. The bags are crocheted from 100% Australian cotton yarn, in delicious colours (perfect for our upcoming spring and summer). They are super soft and the open stitches give some stretch.... and they have been lots of fun to make. Hope you're having a great creative week! I recently signed up to Mel's [onecraftymumma] Aussie dish cloth swap. This is Mel's second swap that she has organised. Every one who joined (and there's 50 of us) has made four cotton dish cloths which could be either crocheted or knitted. As my relationship with knitting is not a good one, I have crocheted all four of my dish cloths. I crocheted four different designs. Two dish cloths I made up as I went along, and two I used patterns found on the internet. I used one of my favourite yarns, Morris and Sons Avalon 8 ply cotton yarn. Dish cloth #2: This is another Fiona creation. Mostly treble crochet stitches in a circle. Dish cloth #3: I used the Flower Power dish cloth pattern on Ravelry. Very cute design will be making more of these. Dish cloth #4: I used the ZigZag dish cloth pattern by Mellie Blossom. I really, really like this design. I'd love to make a rug using this zig zag design. I also added a simple edge to this dishcloth which wasn't on the original pattern. Once the dish cloths were finished, I made four tags to attach to each dish cloth. The tags have fabric fronts, with wool felt flowers. The back of each tag was cardboard with information about each dish cloth like, the yarn I used, the pattern and my name. The tags were finished with a little baker's twine from Ribbons Galore. The dish cloths have arrived safely at Mel's house. Make sure you visit Mel's blog, she's been writing about all the dish cloths she's received for the swap there. I'll be back to show off the four dish cloths I receive in the swap soon. Better Homes and Gardens LIVE is coming to Sydney! A Great Day Out For The Entire Family. Australia’s favourite home magazine and television show is coming to life at Sydney Showground, Sydney Olympic Park, from 20 – 22 September 2013 for Better Homes and Gardens LIVE. Whether you are a renovator, foodie, DIY or craft lover, gardening or interiors addict, Better Homes and Gardens LIVE is the only place to go for all the latest products, advice and tips for your home. Get inspired with live demonstrations and workshops from your favourite Better Homes and Gardens experts and shop for the latest gadgets and technology from more than 350 exhibitors at our one-stop home and garden product showcase. Fast Ed and Karen Martini will demonstrate their favourite recipes as well as some exciting new creations at the Better Cooking stage. Rob Palmer will power up his toolkit at the Better Decorating and DIY stage and will inspire men and women to create great projects from the TV show at home whilst Tara Dennis will work her design magic on projects that tap into the latest trends in colour and interior design. The Better Homes and Gardens magazine editors will be showcasing how to create amazing craft projects at the interactive Make and Take Workshop. And at the Better Craft & Skills workshop, discover the overwhelming satisfaction of creating something with your hands. Dr Harry will share his incredible knowledge to help all pet owners and pet lovers to look after the furry, feathered or scaly member of the family at the Better Gardening and Pets stage. Whether you are already a green thumb or a gardening novice, Australia’s eminent garden and landscaping gurus Graham Ross and Jason Hodges will be creating Australia’s most sought after gardens, whilst offering ample practical advice. Plenty of Activities for the Kids! Looking for things to do with the kids during the school holidays? Crafty kids will feel right at home at Better Homes and Gardens LIVE! They’ll be spoilt for choice with face painting, balloon sculpting and sand art on offer. And the little ones will love the petting zoo, getting hands-on with their favourite farmyard animals. Make yourself at home at Better Homes and Gardens LIVE this September. Who: Johanna Griggs and the Better Homes and Gardens team: Tara Dennis, Fast Ed Halmagyi, Karen Martini, Dr Harry Cooper, Jason Hodges, Rob Palmer and Graham Ross. Full priced tickets can be bought at the door of the event every day. I have 20 FREE double pass tickets to give away to the Sydney Better Homes and Gardens LIVE show. If you would like a double pass (that's two tickets) to this event, please send me an email (you can find the "email me" link in the top right column right here on this page). EDITED: ALL THE TICKETS HAVE BEEN GIVEN AWAY. THANKS FOR VISITING MY BLOG, AND I HOPE EVERYONE WHO RECEIVED TICKETS ENJOYS THE SHOW. I've started a new crochet project. I'm crocheting a hexagon granny rug for Emily. I bought some lovely wool from a little wool shop I stumbled upon in Newtown recently, called The Granny Square. It has apparently been open for a while now, I'd just missed it on previous drives along King Street. The Granny Square is a cute little shop full of wool... think of an old fashioned candy shop, and replace the shelves of lollies with beautiful coloured wool. It's inviting and homely. After chatting with the lovely lady serving in the shop, I found out The Granny Square is part of the Morris and Sons group. If you're in Sydney, that's the gorgeous wool shop in York Street, Sydney. That lovely lady I was talking to in the shop... her name was Ruth, and I'm thinking she owns the business after reading this page. If you follow this link, you can read a little of the background of The Granny Square (the images seem to be missing, but the story is good). 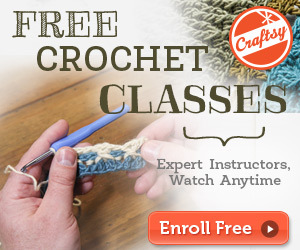 The Granny Square does have a website which has it's class schedule. Anyway... back to the wool and my crochet project. The wool Emily choose is called Morris Arabesque Sugar Plum, which is a lovely verigated wool with pink, plum, dusty blue and tan. Recently I received a request to make 25 luggage tags, in the same style as the ribbon key rings I make and sell over at Ribbons Galore. They were for a tour group which I assume are travelling to Japan (my assumption based purely on the ribbon chosen for these tags). I love making custom orders, the more in the order the merrier, cause I set myself up a little production line, completing one task at a time. First task with these tags was to cut the cotton webbing and the ribbon into pieces and have them stacked next to my sewing machine. Then the ribbon is stitched to the webbing. A little tip: when I'm stitching a polyester ribbon to cotton webbing (or cotton fabric for that matter), I always iron the ribbon with a warm iron (not hot). There is usually a little shrinkage with polyester ribbons, and by ironing them now (before you sew), you avoid the ribbon puckering once sewn to it's cotton base. Each piece of webbing/ribbon is then folded in half so I can sew the two raw edges together. I add this step into the process so both ends of the webbing stay in place once the metal end is clamped. You see, the metal clamp has "teeth" on one side only. When the metal end is clamped only one side of the webbing is held with these teeth. By stitching the two ends together, you are making a more secure key ring or tag. And I speak from experience, one of the first key rings I made did not last very long, one side of the webbing pulled out of the metal end. Since sewing the two ends together, the key rings have stayed in place! Next step, and this is an optional one, but I really like to be sure that my key rings will stay in tact. I like to glue the webbing ends to the metal end. I use a strong glue. Then leave them to dry a little. Time for clamping, this is the part where you close the metal end around the webbing ends. I always clamp these as tight as possible. Once that is done, the split rings are added and you're finished. I had a 24 hour turnaround for these, they had to be packed up and on the plane to Hong Kong (well at least in the hands of Australia Post) one day after receiving the order. I made it, and they were on their way in time. Would love to see what they all looked like on the luggage as a group. PS: the ribbon used is the gorgeous miss ling on grey ribbon, available from Ribbons Galore. Webbing and key fob hardware available also from Ribbons Galore.